Does that mean that you're going to build a LP for every one of us who supported you in the process? Come on! PLEASE? This is looking great, Freeman! A good burst is hard to find, hard to do, and hard to beat. And that is a beautiful burst! He almost works as fast as you, AJ! Great Job on this build! 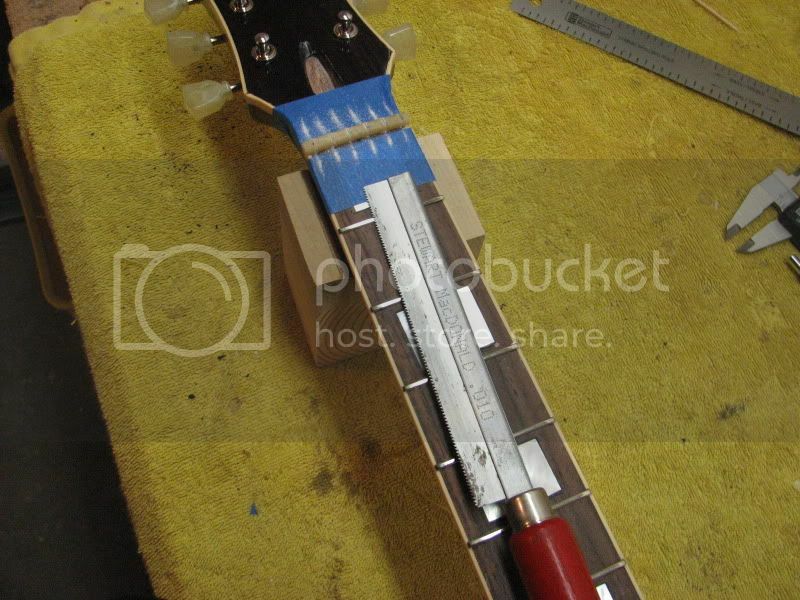 As Atrox says, that is where a fret would sit right in front of the nut. 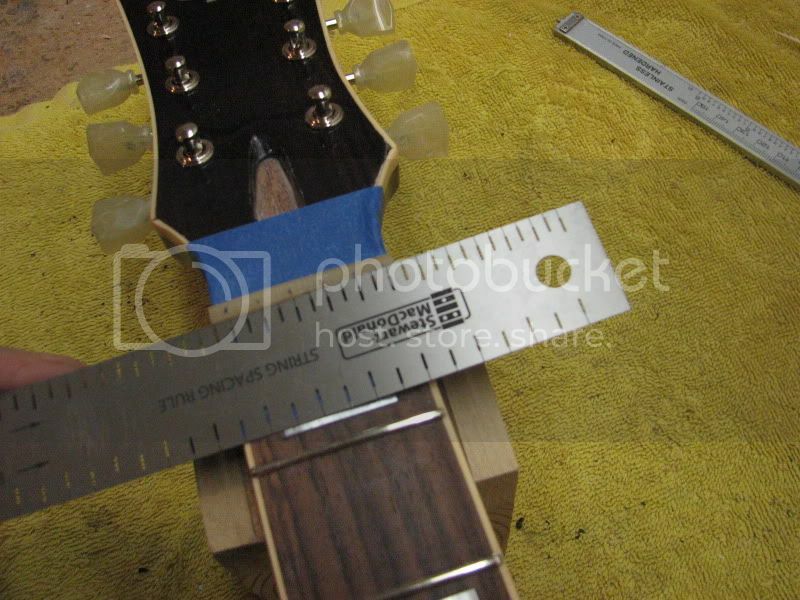 Some guitars have a "zero fret" - the nut slots locate the strings from side to side but a piece of fret wire actually sets the height. 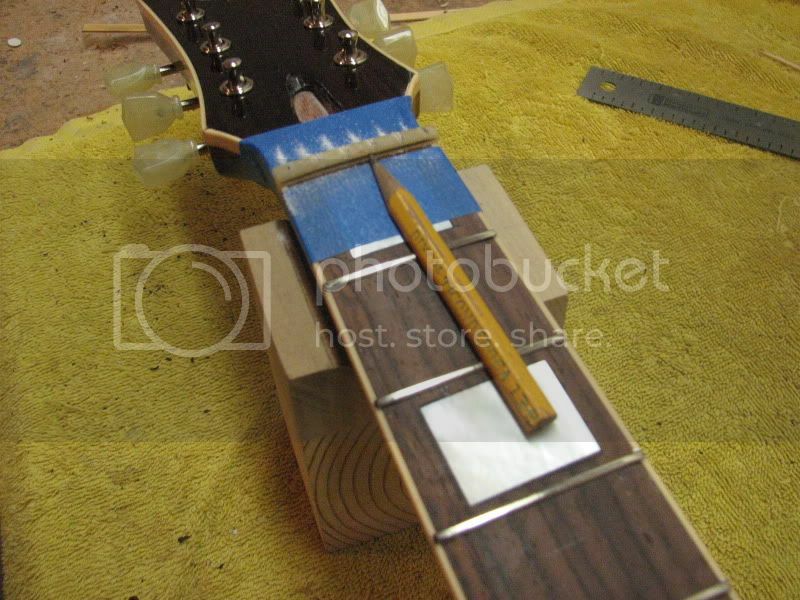 I have taken an ordinary wood pencil to my belt sander and sanded half of it away, when I lay it on the first couple of frets it will extend their height back to the nut. 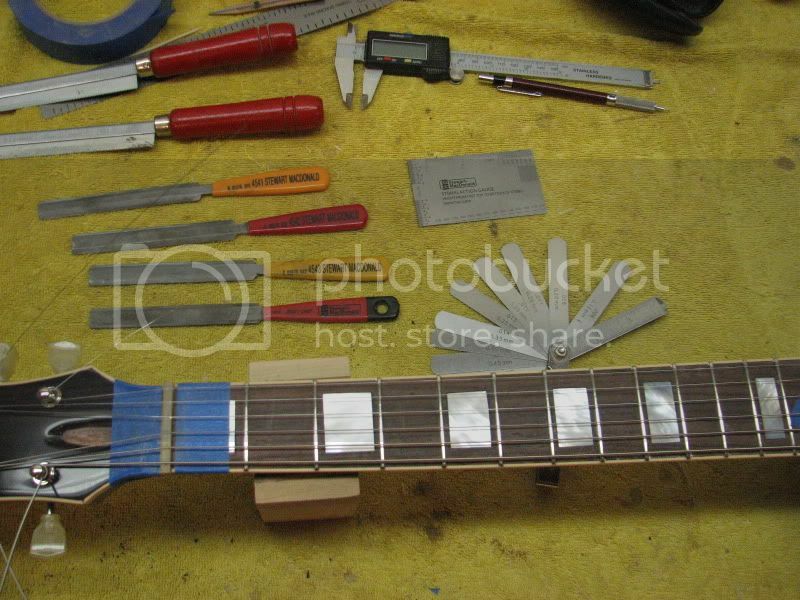 In theory I want the bottoms of the slots exactly at that line, however I approach it slowly and use the other two measurements do check (a feeler gauge on the first fret and putting a capo on the 3rd I tap the string over the first fret and listen for a little ping). Gotcha'. Interesting approach. 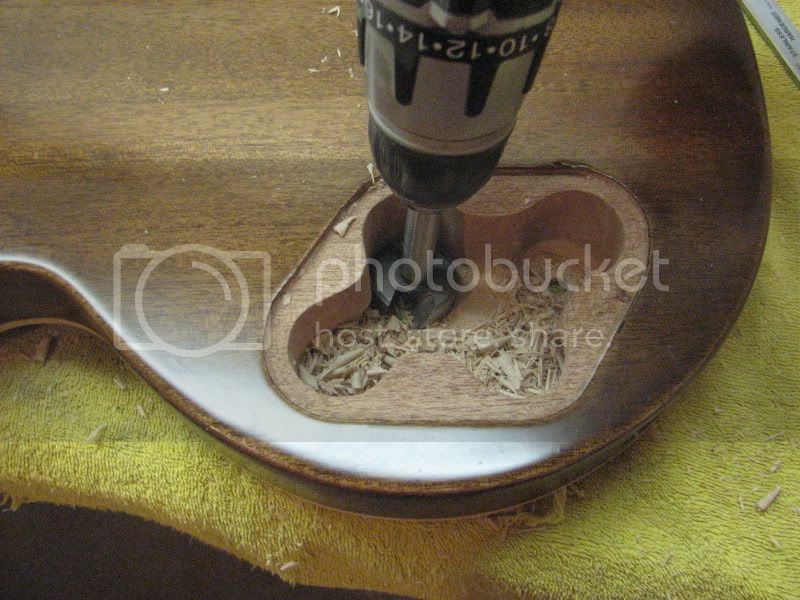 I just do the feeler gauge when cutting nuts. Both work, but it's much easier to work quickly when you have an obvious visual reference. You'll never cut one too low this way. 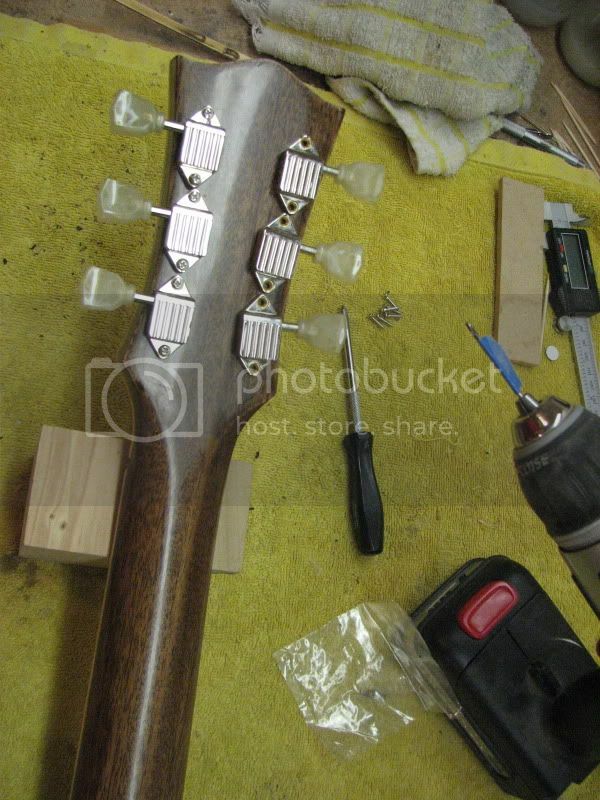 It is really helpful to have the reference when working on a 12 string. Excellent example of how good a product can come out when the proper experience and research has been done. dharmaforone.bandcamp.comListen to my music and such.Strat - Jazzmaster - Bunch of fuzz and delay pedals - map. I haven't had the pleasure yet, but it's bound to happen. When you do, let me know. 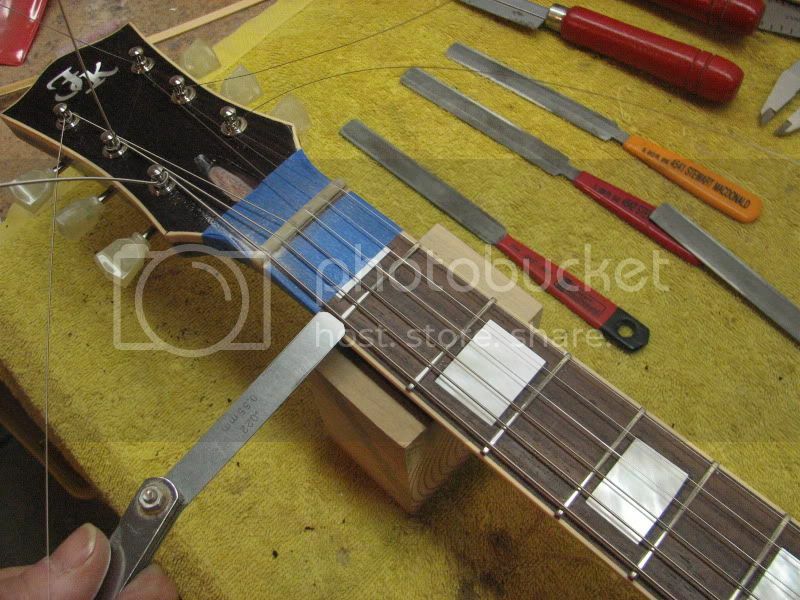 There are a bunch of tricks for setting up a twelve string - spacing, nut depth, intonation, etc. Mine have each string of each course compensated individually - the saddle looks like a rip saw blade but they play in tune. 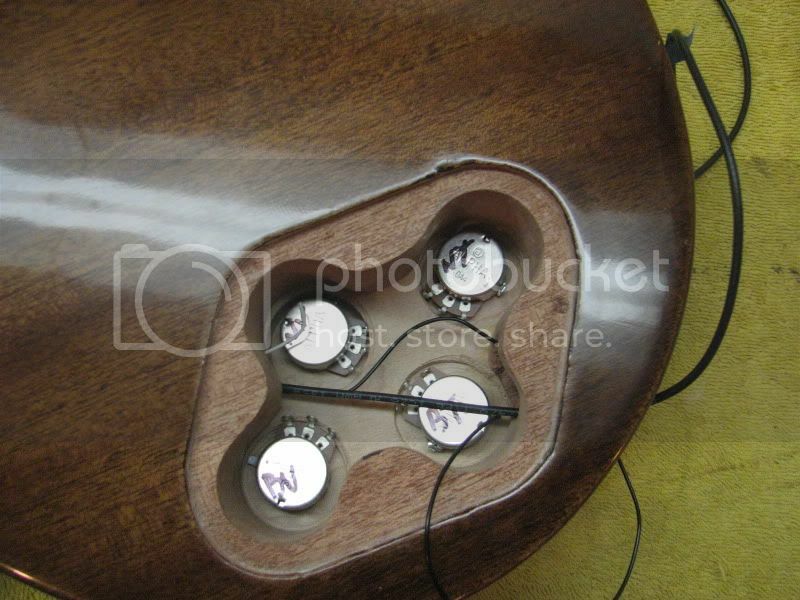 Lots of people feel that a 12 is hard to play - set up correctly they can be a pleasure. and wired them all together following the schematic that came with the parts. 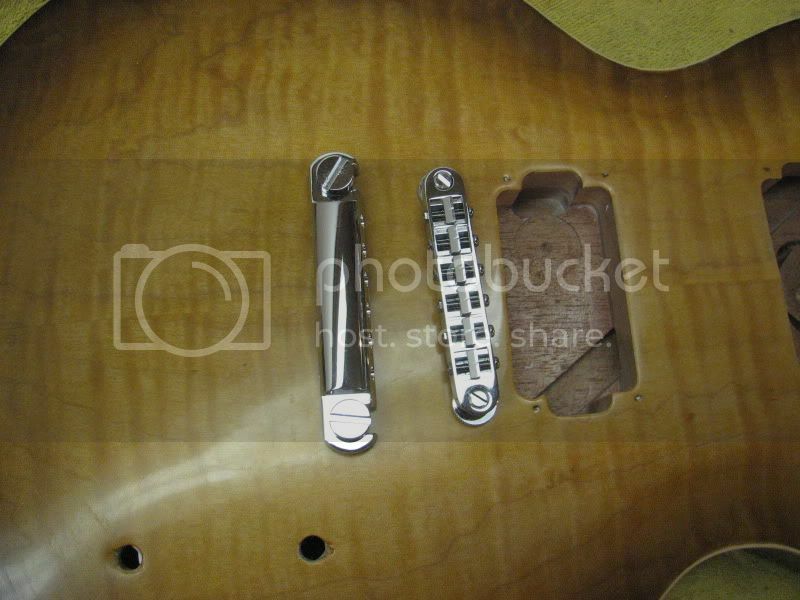 Incidently, I'm using the Parson Street humbuckers - they are half the cost of Gibson or some others and right now I wouldn't know the difference. As I get wiser I could always change them. 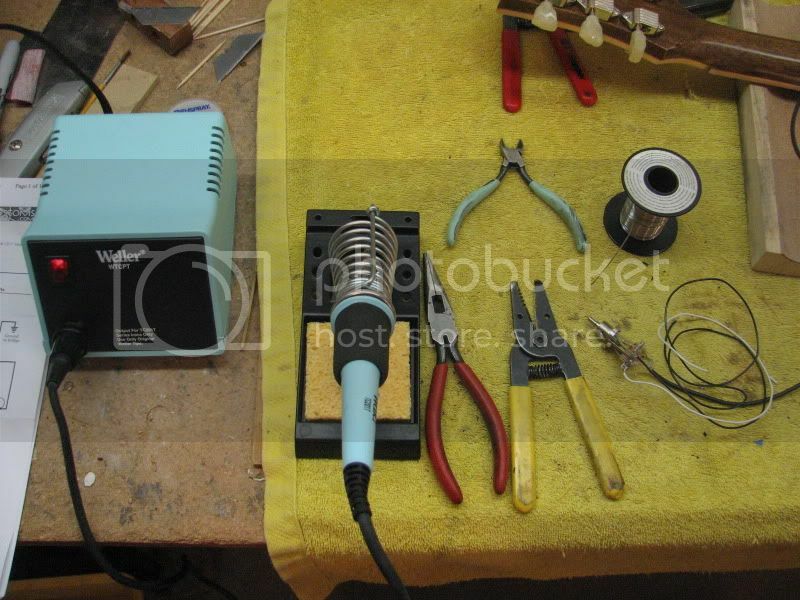 I also just bought the basic wiring kit from StewMac - standard 500K pots, 0.02 mf caps, some shielded and unshielded wire. I did do the trick of reversing the switch and pickup wires which means that if both pups are selected turning a volume control down won't turn the whole thing off. 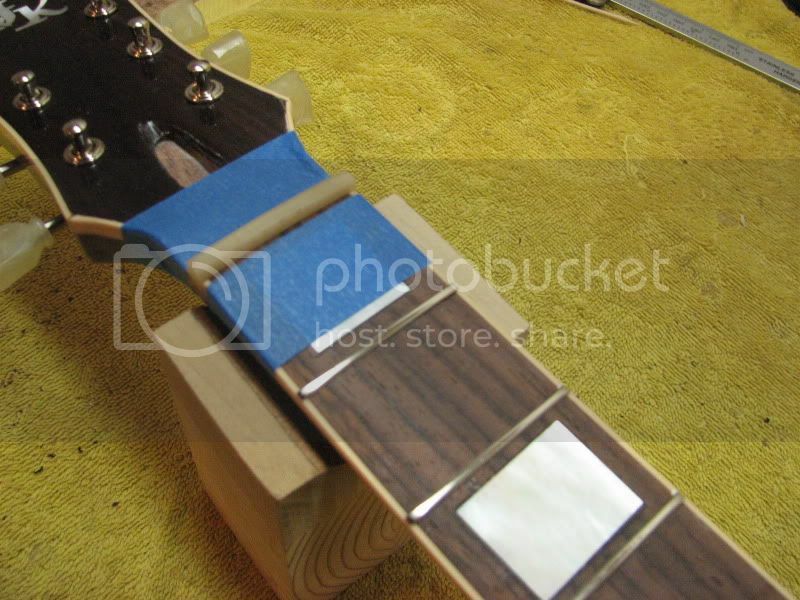 I also had one other brain fart at this time - I knew I needed to drill a hole for the wire to the "string ground" at either the bridge or tailpiece stud, but I had totally spaced it. 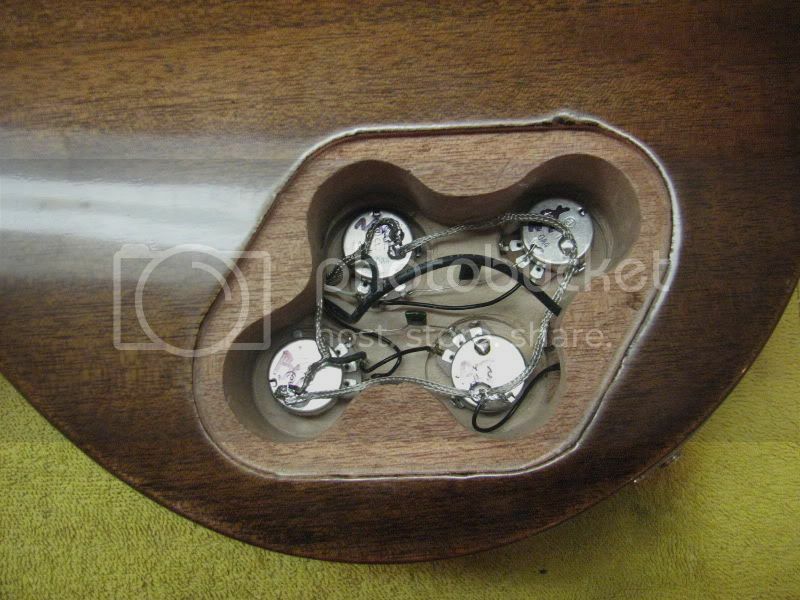 I did it now (again, sorry, no picture) but realized that there is no way to connect to the stud so I just pushed the wire tight against in and super glued it in place. 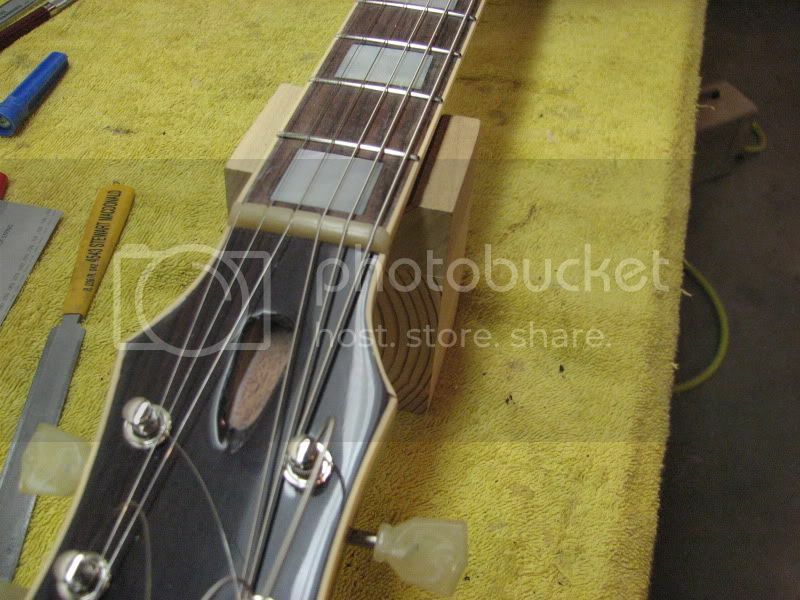 If I get string hum I'll have to pull the stud, fan the wire out and reset the stud so it makes better contact. 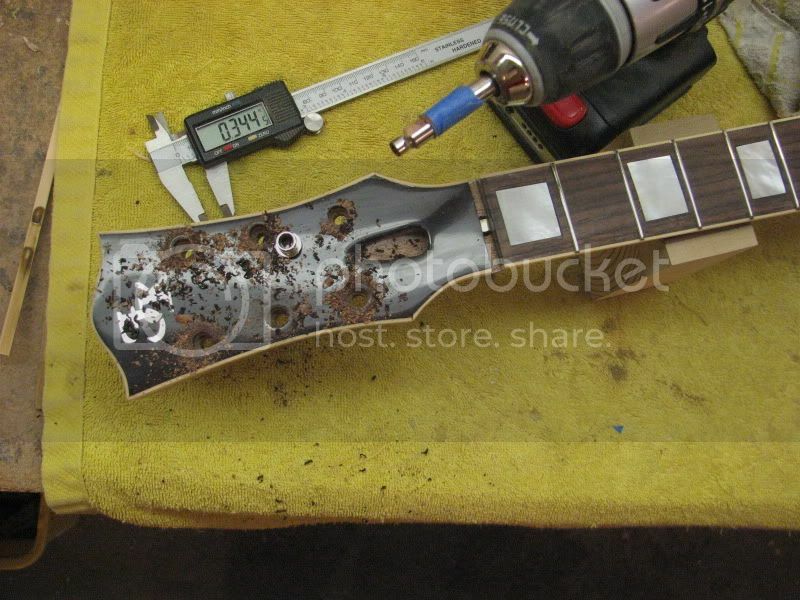 I can't wait to see the finished guitar, it looks fantastic so far.